Paul Schwiep, who serves as the Chairman of The Citizens' Independent Transportation Trust of Miami-Dade County, was interviewed by South Florida Public Television, WPBT2, about the Trust's continued efforts to “reaffirm the original intent of the People's Transportation Plan” and to expand public transportation in Miami-Dade County. Robert Burlington, an attorney representing Grand Station Partners, said much work went into crafting the lease and every “i” is dotted, every “t” is crossed. Mr. Burlington also pointed out that the time for competing parties to appeal was back in early May, when the board authorized Mr. Noriega to begin negotiations with his client. Mr. Mana’s representatives did not appeal, said Mr. Burlington. Authority staff confirmed this to the board. 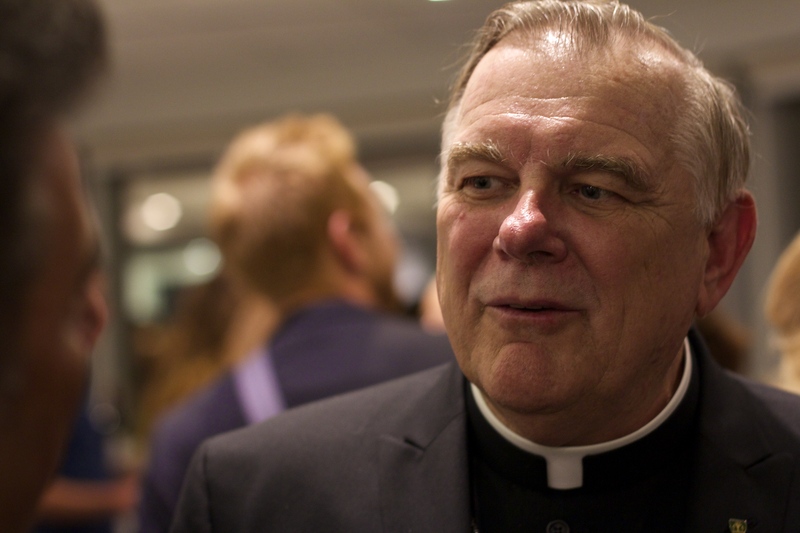 To read the Miami Today article in its entirety, click here. Chairman Paul Schwiep spoke in favor of a slow unwinding, saying the trust would be in better shape after five years. “If we just un-unified the budgeting system, so that all the surtax funds were segregated and were used only for PTP projects, capital and operations and maintenance of PTP projects, the amount that would be attributable to those expenses would exceed the amount that the county administration is proposing in its pro-forma over a five-year period” to take from the trust to operate the transportation department. Because so many of the county’s transportation projects are interwoven – fee-free Metromover service, the Golden Passport discount program for seniors, the Metrorail Orange Line to Miami International Airport, and news cars for both Metrorail and Metromover were all PTP projects – separating the funding would result in a net loss for the trust, so it makes more sense to do it gradually, Mr. Schweip explained after the meeting. “It’s not just that we’re returning funds to the trust; we’ll end up with more funds in the trust,” he told trust members. “My view was, and remains, that we got into this unification situation over a long period of time, because transit needed to access surtax funds, and we’re not going be able to unwind it overnight – that kind of a meat-cleaver approach will end up doing more harm than good,” said Mr. Schwiep, who is an attorney with the Coffey Burlington firm. Jeff Crockett Installed as President of Legal Services of Greater Miami, Inc.
Congratulations to partner Jeff Crockett who was installed as the President of Legal Services of Greater Miami, Inc. Legal Services of Greater Miami, Inc. is the largest provider of broad-based civil legal services for the poor in Miami-Dade and Monroe Counties, and is recognized in the state and in the nation as a model legal services program. Jeff is a long standing member of the Legal Services Board, and has served as Treasurer and First Vice President. He is also an active pro bono volunteer, most recently handling an appeal to the Third District Court of Appeal in a mobile home park case. Kendall Coffey Presents at Florida Association for Women Lawyers (FAWL) on "Demystifying the Federal Judicial Nominating Process"
Partner Kendall Coffey, who also serves as the Chair of the Southern District Conference, Florida Federal Judicial Nominating Commission, presented today at Florida Association for Women Lawyers (FAWL) event on "Demystifying the Federal Judicial Nominating Process." The event, which was held at Hogan Lovells, was well attended by members of FAWL and members of the judiciary. Coffey Burlington hosted a group of transactional attorneys and real estate professionals for a CLE program titled "Working Together to Weather the Storm: What Transactional Lawyers Need to Hear From Trial Lawyers When It Matters Most." 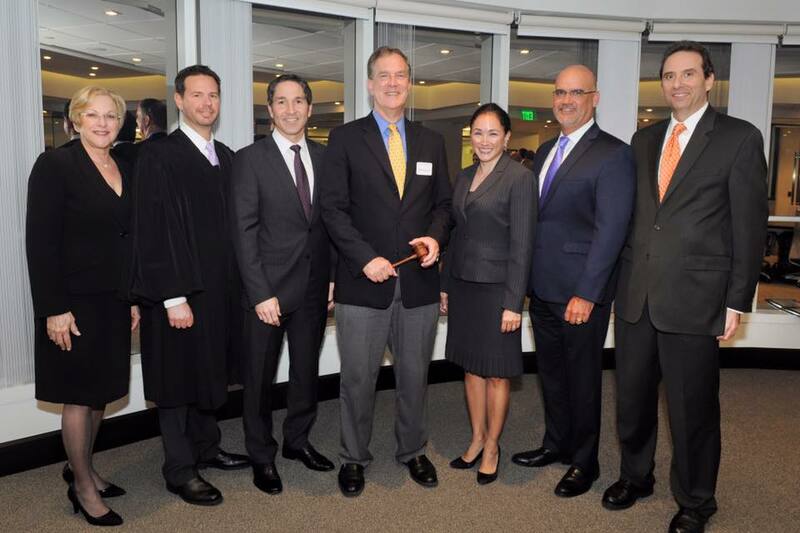 The event was put together by the Greater Miami Jewish Federation Attorneys' Division. The program was moderated by Partner Benjamin Brodksy, and featured the following panelists: Olga de los Santos, General Counsel for Fortune International Group, Ben Gerber, VP of Finance for The Related Group, Nancy Lash, Greenberg Traurig, and Susan Raffanello, Partner at Coffey Burlington. Congratulations to the following Coffey Burlington attorneys who were recognized by SuperLawyers magazine for their accomplishments in 2015. Partner Albert Caruana was named as part of the Nation's Top One Percent of attorneys by the National Association of Distinguished Counsel National Association (NADC). The NADC is an organization dedicated to promoting the highest standards of legal excellence. The mission of the NADC is to objectively recognize the attorneys who elevate the standards of the Bar and provide a benchmark for other lawyers to emulate. By virtue of the incredible selectivity of our research process, only the elite few are invited to join the ranks of the NADC. Specifically, less than 1% of practicing attorneys in the United States are members of the “Nation’s Top Attorneys”. The recipients of this prestigious award have demonstrated the highest ideals of the legal profession. Coffey Burlington congratulates Mr. Caruana on this huge honor. Coffey Burlington Partner, Paul Schwiep, presented at The Beacon Council's Access Breakfast regarding Miami's Next Big Idea, The Underline. 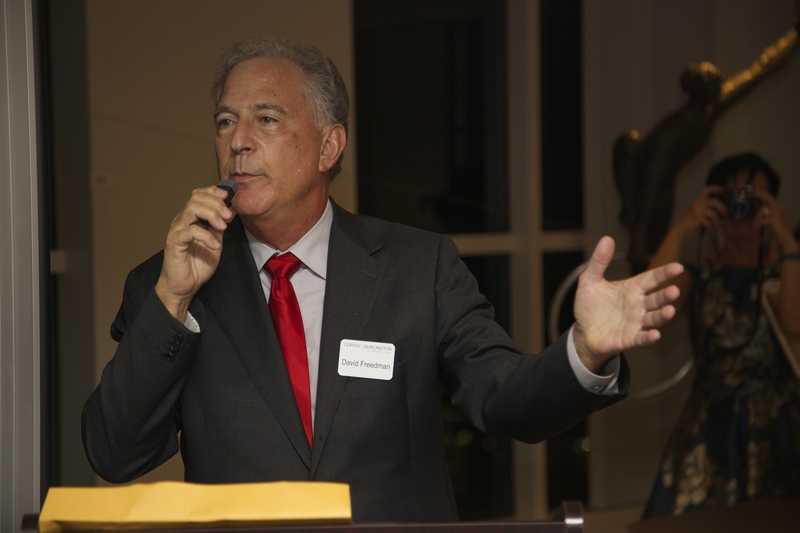 Mr. Schwiep serves as the Chair of the Miami-Dade Citizens' Independent Transportation Trust. The Transportation Trust is the 15-member independent organization comprised of citizens who serve as volunteers with the mission to oversee expenditure of Charter County Transportation Surtax Funds and implementation of the People's Transportation Plan. 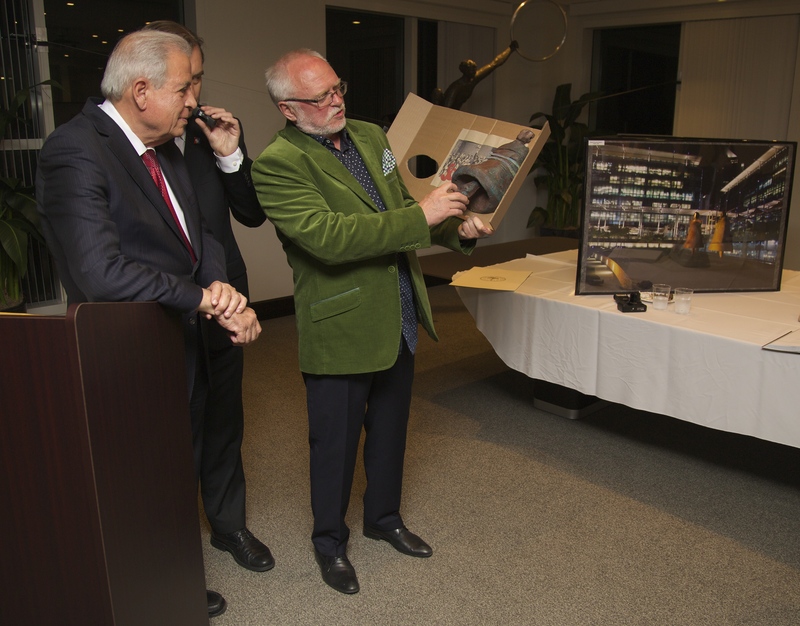 Coffey Burlington had the pleasure of hosting over 100 guests in its offices on Friday night February 27th to honor the work of sculptor Jerzy Kedziora. Kedziora's balancing scultures were hanging throughout the offices for this spectacular event. The group heard from Partner David Freedman, City of Miami Mayor Tomas Regalado, and the Archbishop of Miami Thomas Wenski. Below are some pictures of this wonderful event. Coffey Burlington was named as one of South Florida's Top Law Firms by the South Florida Legal Guide in its 2015 edition. The South Florida Legal Guide publishes an annual listing of top lawyers and law firms selected by the local bar. Additionally, the following Coffey Burlington attorneys were individually honored in the 2015 edition of the South Florida Legal Guide. Paul J. Schwiep (trial practice). Congrats to those honored and to the entire Coffey Burlington team. Paul Schwiep, chairman of the Citizens’ Independent Transportation Trust, the 15-member body created to oversee the People’s Transportation Plan funded with a half-penny sales tax, is hosting the event. It’s refreshing to hear that what was promised to voters with much fanfare is back on the front burner. Mr. Schwiep believes a generational change will add tremendous momentum to redoing the way we get around, largely because younger people are more apt to use public transit, ride a bike or walk as part of their commute. They are not fixated on cars. Their needs should be better accommodated, and fewer cars on the road should be a priority. Coffey Burlington is excited to announce that it is now offering full trademark services to its clients – counseling, registration and protection. We help our clients select the right trademark, register the trademark, monitor the trademark, and ultimately protect the trademark. In addition to registering our clients' trademarks in the US, we work with a network of attorneys in countries around the world to coordinate the registration of our clients' marks in foreign markets. After years of representing clients in trademark disputes in federal courts and the Trademark Trials and Appeal Board, and at the request of several clients, we have put together a team of trademark professionals to provide this service to our clients. Coffey Burlington is also available to counsel clients to use the marks properly, oppose and petition to cancel third-party applications and registrations which may be too similar to our clients’ trademarks. Please contact the head of our Trademark team, Gabriel Groisman, to learn more.